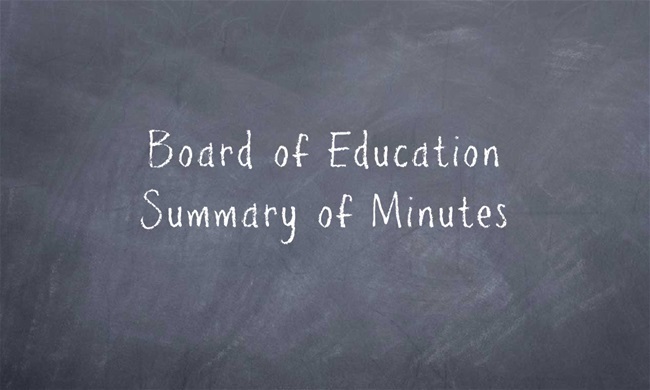 During the regular meeting of the Staunton CUSD #6 Board of Education held on Monday, March 18, 2019 the Board set the amended school calendar for the remainder of the current school year and set the 2019-2020 School Calendar. Two emergency days were utilized this year resulting in the last day of student attendance being held on Wednesday May 29 with a 12:30 dismissal for school improvement. The first day of student attendance for the 2019-2020 School year will be held Wednesday, August 14, 2019. The calendar has been posted to the District website. Beginning during the fall of 2019 the Board voted to approved closed campus lunch for Freshmen students at Staunton High School. Freshmen on track, chronic absenteeism, and truancy are all important indicators to monitor for student success and rationale for closing campus for freshmen. With the improved food service program and additional options planned for high school students next year the overall quality and experience of on-campus dining options is high. The Board recognized the resignation of Brandon Ray as SJH Asst. Track Coach with thanks for service. The Board recognized the resignation of Zach Ferguson as SJH 8th Grade Boys Basketball Coach with thanks for service.